The Williams Barn also known as the Red Barn was originally located where the San Marcos City Hall and Library are located today. It was built in 1952 by Fred and Frances Williams and made available to the public for square dancing and other community festivities. Fred E. Williams was the first volunteer fire chief of San Marcos. 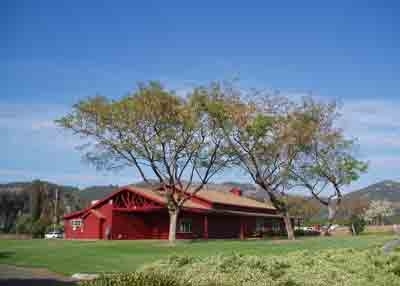 The Red Barn, renamed the Fred E. and Frances A. Williams Barn in 1997, stands as a proud heritage of San Marcos.